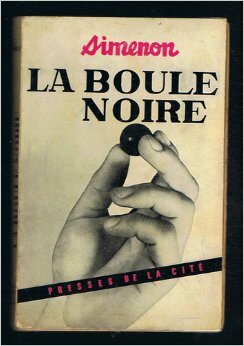 The Rules of the Game (La Boule noire) is the first novel Simenon wrote in France upon his return from his decade-long stay in America. 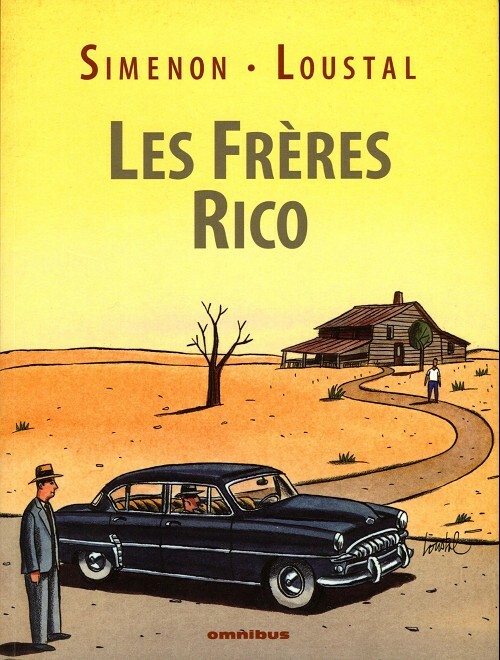 Written in April 1955 and set in Connecticut, it drmatizes issues of belonging and membership, and the small-town mentality. 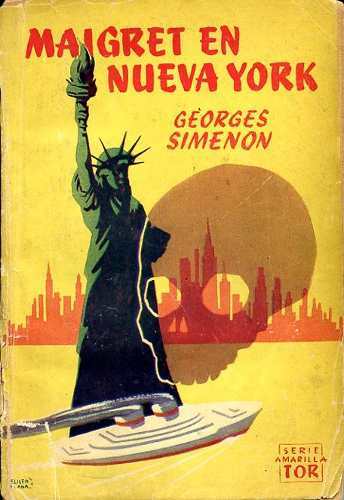 It is apparent that, in writing it, Simenon had just come to terms with the realisation that he had never truly belonged in American society. 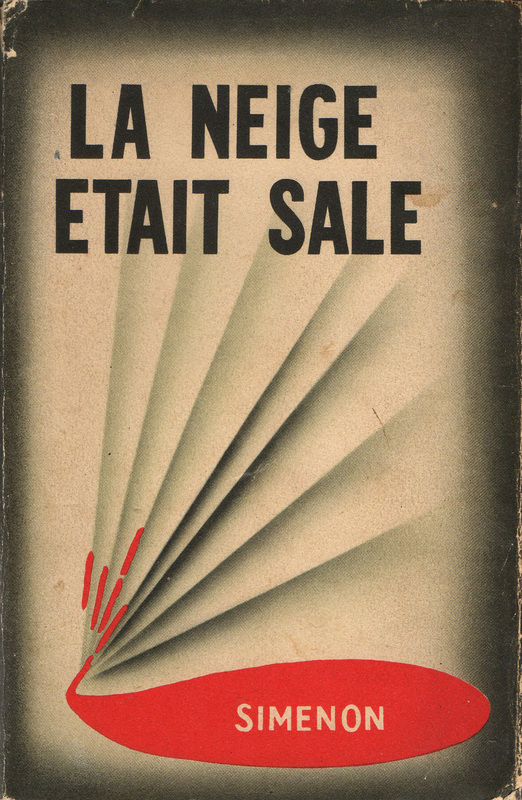 The cover above (courtesy of Didier Poiret’s collection) is from a 1949 edition of Georges Simenon’s 1948 noir novel La neige était sale, translated in English both as The Stained Snow and Dirty Snow. 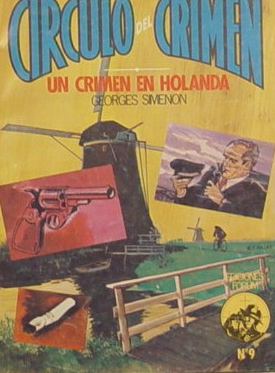 The following year (1950) Simenon and Frédéric Dard would co-write an adaptation of the novel for stage. 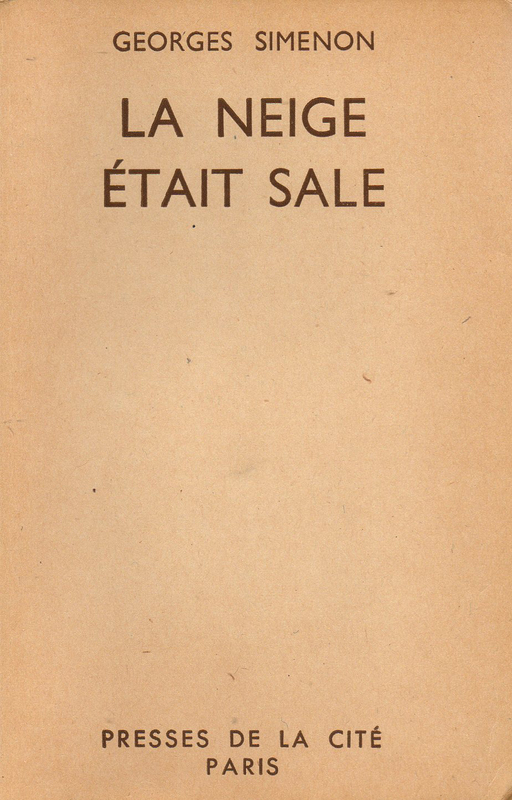 The play, also entitled la Neige était sale was produced in December 1950 at the Théâtre de l’Œuvre. 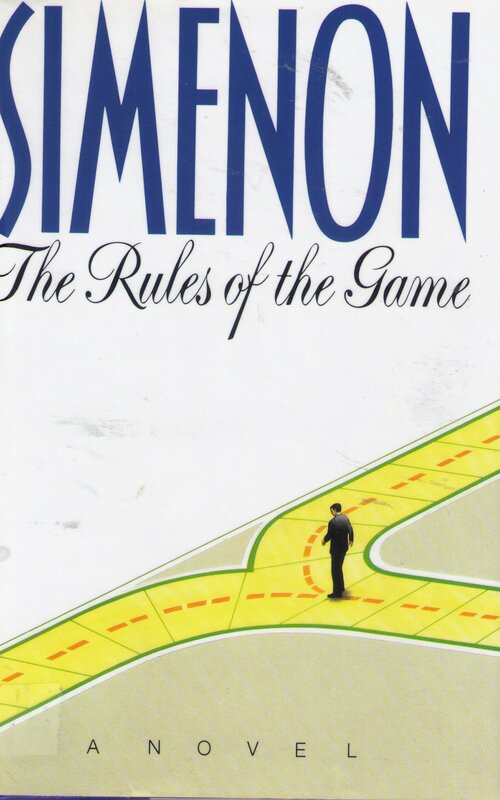 Dard and Simenon fell out in the process and would never truly reconcile. 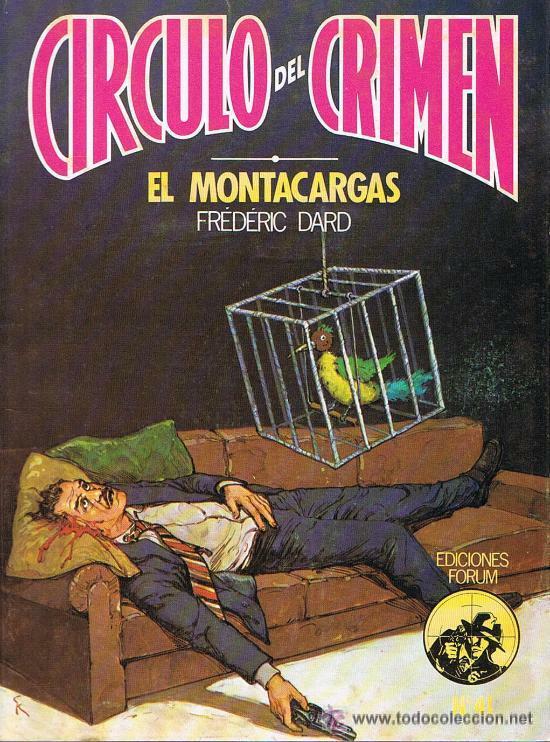 Dard owes to the play his encounter with Robert Hossein, who played the leading role. 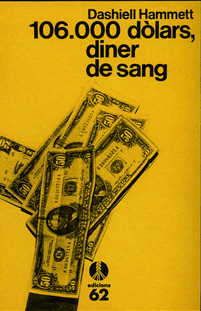 Dard and Hossein went on to work together on plays, films and books across four decades. 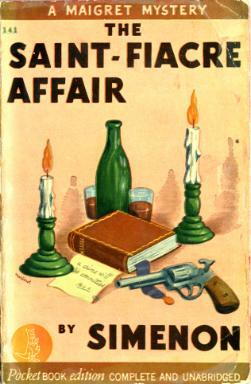 Simenon, meanwhile, probably owes to Dard the inspiration for his novel. 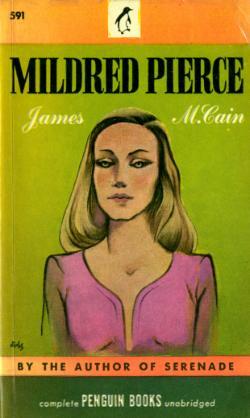 He had praised Dard’s 1946 novel, La Crève, calling its 25 year old author a master. 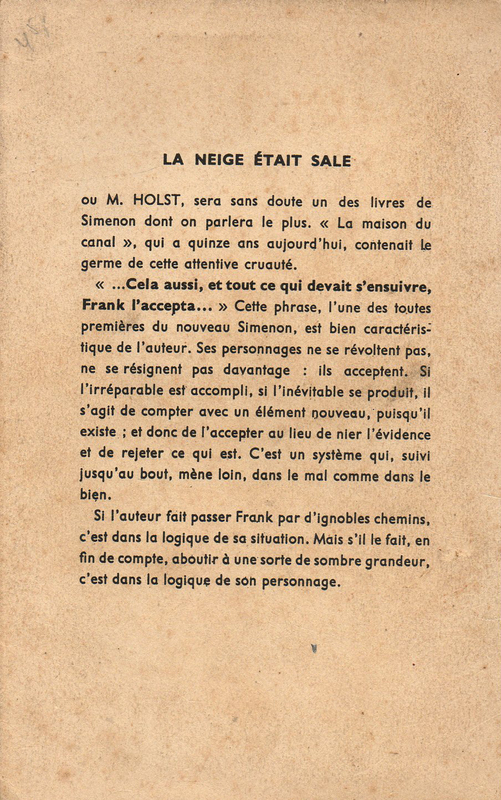 Both La Crève and La neige était sale are short, and noir, and both have a teenage criminal for their central characters. Both are violent and seedy, and live with their mothers. 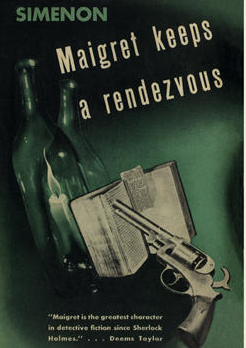 Both novels, published in the aftermath of the Second World War are set in an occupied (although in Dard’s case it is rather the liberation army which is perceived as a threat) and unnamed town. 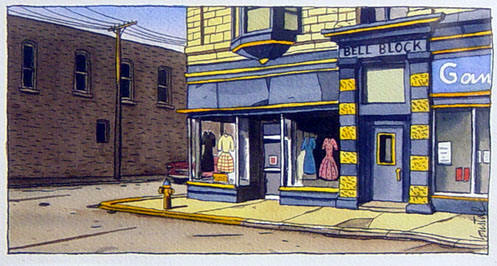 Both are stories of bad blood and reckonings.